Love and Spirit Medicine chronicles the author's mystical journey through the end of her marriage and into a focused, shamanic exploration of entheogenic mushrooms. A love relationship unfolded during that time, sending her into a dark night of the soul. Shonagh continued her shamanic explorations with the plant medicine, and discovered a well of resources. Using the mushrooms as a portal to the spirit worlds, Shonagh experienced a profound transformation of consciousness. She realized that the ceremonial use of sacred mushrooms offered a powerful path in her spiritual exploration. Each journey brought her into direct connection with the realms of the sacred. Through these journeys, she cultivated relationships with otherworldly beings that nourished her on a soul level. Through her desire to know Spirit and experience deep connection, she ultimately discovered her own divinity and her connection to the All. "Ultimately, this is the story of my journey into Self. It became necessary for me to fall in love with the mystery of my own being. My experiences with the mushroom medicine have cultivated an intimate relationship with Mother Earth and a coterie of spirit beings. Through the use of sacred mushrooms, I have experienced an expansion of consciousness I never thought possible. It has deepened my sense of belonging within a vast universe of countless realms. This medicine is a potent portal into the world of the spirits," she writes in the introduction. Shonagh forms a unique relationship with the spirit world that has been made possible through her mushroom journeys. Like many traditional shamans through the ages, she finds herself to be a conduit for Spirit, thereby bringing through wisdom and guidance for herself and her community. She is eventually led into a very ancient practice as a "medicine oracle," and her life is forever changed. 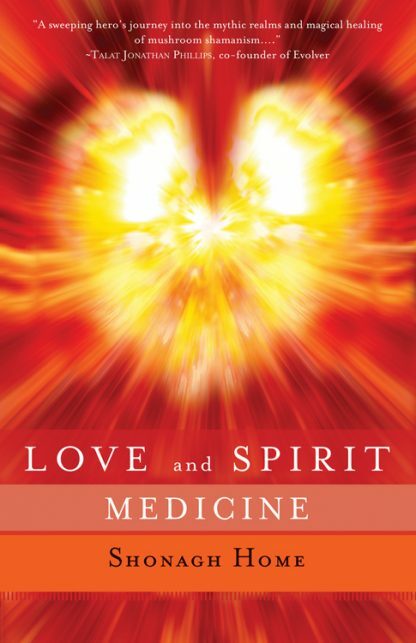 Love and Spirit Medicine is an unusual love story; a tale that exemplifies what is possible through the reverent use of plant medicine for healing and transcendence on every level of our being. It's the story of a woman who ultimately discovers her journey is not about finding a soul mate, but coming to know and love her own soul.